My drawing, painting, and writing dive into the sensory experience of a moment. 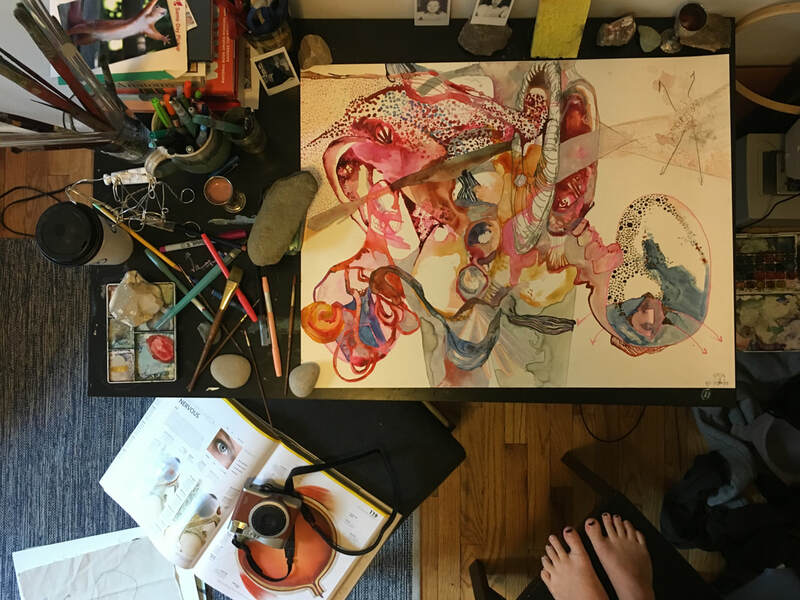 In unfurling scrolls, layered watercolors, and instantaneous sketches, I contort representations of my insides to depict my anatomy as it feels.​ My work speaks to a compassionate practice and an ongoing process of confrontation and acceptance. A need to understand “how I work” directly inspired my Scroll Series. Chronic migraines necessitated a routine of self-care including osteopathy, yoga, and psychology. After an immersive dive into the myriad of research on migraines I understood that, while not unique to women, migraines impact women more than men. In this climate of violence against women, I take ownership over my body by claiming my own pain, pleasure, and process. The title of this project reflects my starting point for each artwork, during which I mentally scroll through my body. I do not sketch or plan outside of creating a preparatory list of feelings, twinges, or sensations in my journal. I might write, “Left eye blurry” or “Right rib pulling down and poking out,” in vertical lists that have come to feel like poems. This writing informs the sort of anatomy I represent. 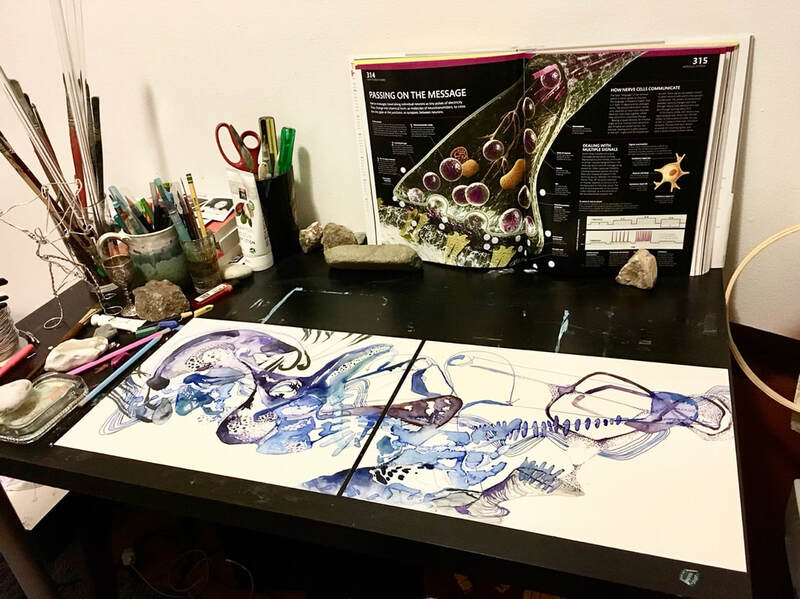 As I paint, I pause to consider the space between my shoulder blades or the pull on my neck when I slowly roll it to one side. When I close my eyes, I see muscles constrict and when I open them I drag color across the page in tight lines. I embed myself in my painting.